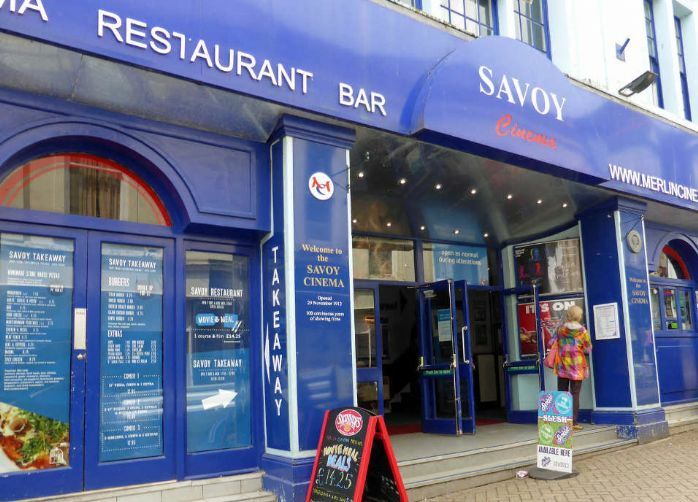 It’s not often that Penzance can see its facilities compared with those on offer in the major cities. But tomorrow, we will all be able to take a look inside “the handsomest and most luxurious Picture Theatre outside London”, that’s been put up on the site of the old Golden Lion on Causewayhead. And the cost of entry? As little as 4d. The prices may be low (although of course the best seats cost a shilling), but the decor sounds extremely tasteful. Today’s Cornishman reveals what we can expect when the doors open: “cream, with panels of green and gold silk”. The seats are red plush, and all tip up when not in use. There are palm trees in the entrance hall, and ferns on each side of the stage, to create that sophisticated winter garden atmosphere. A slope of five foot leading down to the stage will ensure that those seated at the back can see the screen. Of course, the electric lighting has been installed – “artistic lights of 100 candlepower each”. And not only that, but there are apparently great fans set in the roof, to make sure that the smoke is dispelled from inside. So that gentlemen – and even ladies if they are so minded – can enjoy a pipe or a cigarette as they watch, without creating a fumy miasma dangerous to those with weak lungs. And there are plans to clean the whole place daily – with a vacuum cleaner! But there is no need to fear for one’s safety, despite all this electrical apparatus – there are exit doors, clearly marked, and the films will be projected from a fireproof “operating chamber” with automatic shutters. The Mayor is going to do the honours at the grand opening tomorrow, 2.30 prompt. I daresay there’ll be queues. The money from the first show is all going to the Infirmary, and people do like to help a good cause. Especially when you never know when you’ll need its ministrations yourself. The programme will be varied – “travel, comedy and drama”. The Savoy while undergoing renovation. Notice on central pillar says opened 28 November 1912. The Pavilion is fighting back with Russian Dancers. “Direct from the London Palladium”, it claims. But frankly, I don’t think much to its chances. No, Causewayhead is where I’ll be tomorrow, with my shilling, and I’m planning to arrive early and be near the front of the queue. “Travel, comedy and drama”. Orchestra thrown in. All that a man – or woman – could desire by way of entertainment. I tell you, I can hardly wait.